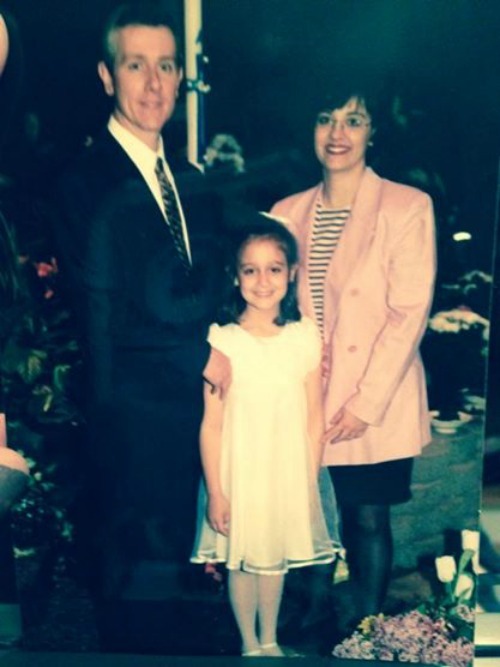 This photo is of me and my parents when I made my first communion. Look at Sue-Ellen rocking those shoulder pads. She's a stylish lady. This photo has nothing to do with this post, but I stumbled on it the other day, and it simultaneously made me laugh and get teary because I miss my parents. I am so thankful of so many things. Yesterday when Dave and I were at Harris Teeter, in the middle of the baking aisle, arguing about how long our turkey needs to roast, and if we wanted to brine it or not (I know, we are amazing planners...) I just stopped for a second and thought about how much I love this man, and how thankful I am for him. I'm thankful that we are able to squabble about food. Because that means that we have full bellies. I'm thankful that I have my best friend by my side every day. I'm not sure what I'd do without him constantly bringing me back down to earth, or if he weren't there to open all the jars. I'm thankful for friends. Old friends and new friends. Real life friends and blog friends. They say you can't choose your family, but you can choose your friends, and I've got some great ones. I'm thankful for Netflix. And for our loveseat that allows Dave and I to sit next to each other and snuggle close. I'm thankful for hot showers, makeup, and dry shampoo. I'm thankful for being able to move hundreds of miles away from my family. We have grown so much both as individuals and as a couple in this 2 1/2 years of living in Norfolk. However without modern technologies like texting, social media and facetime, it would have been WAY harder. What I'm most thankful for this year are my parents. I never thought that when I moved to Virginia I would miss my family as much as I do, but I am thankful for them every day. My parents are some of the happiest, kindest most supportive people you'd ever meet. I love them so much, and I'm so happy that they're mine.